September 7 will be Apple's biggest day of the year. Business Insider will be live at Apple's iPhone launch event in San Francisco covering the news at 10 a.m. Pacific, 1 p.m. Eastern. In the meantime, keep reading to find out everything we expect the company to announce. Of course, the next iPhone — let's just call it the iPhone 7 for now — will be the star of the show. The design isn't expected to change much, according to numerous leaks and reports, but keep reading to see what we do expect to change. There will be two models again. 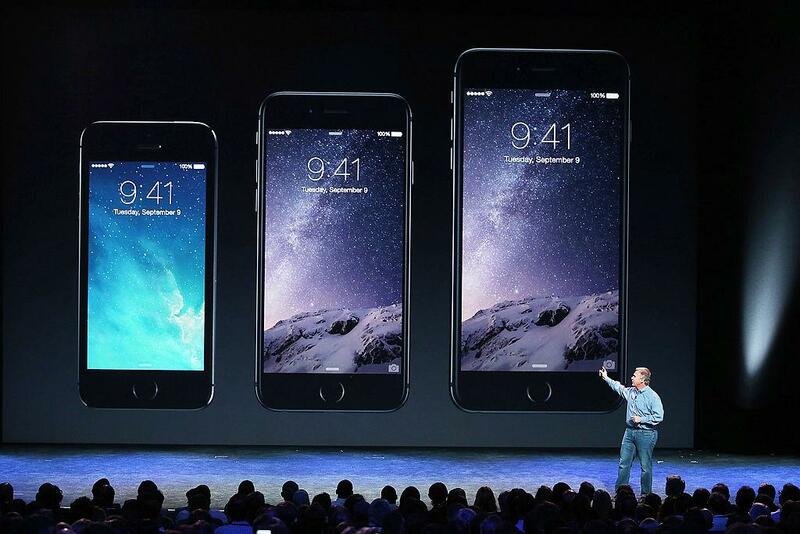 Apple is expected to release two models of the iPhone again, the 4.7-inch iPhone and the 5.5-inch Plus model. The 4.7-inch iPhone will have a larger camera. That larger camera lens presumably means the iPhone will have a larger sensor that can gather more light and produce better photos. The Plus model will have dual cameras. The 5.5-inch iPhone 7 Plus is said to have a dual-camera system that takes two images at once and stitches them together into one great photo. Dual cameras could also let you change the focus of photos, giving them the same look as photos taken with a DSLR. The headphone jack is going away. It's all but confirmed that the iPhone 7 won't have a headphone jack. This will easily be the most controversial move Apple has made in years, so it'll be interesting to hear the company's explanation for it. Instead of a traditional headphone jack, you'll have to use headphones that plug into the iPhone's Lightning charging port or a pair of Bluetooth headphones. Apple will likely include a pair of Lightning earbuds with the iPhone 7. There might be new wireless earbuds. Apple is said to be working on new wireless earbuds that will launch with the headphone-jack-less iPhone 7, according to a 9to5Mac report from Mark Gurman a few months ago. If we had to guess, Apple will likely push the wireless earbuds as a separate accessory, not include them with the iPhone 7 as some have speculated. Apple will likely include a dongle for regular headphones. What if you want to plug in your regular headphones? According to accurate Apple analyst Ming-Chi Kuo of KGI Securities, Apple will likely include a dongle that lets you plug in regular headphones through the Lightning port. The home button is changing. The iPhone 7's home button won't be a button at all, according to a report from Mark Gurman in Bloomberg. Instead, it'll be a pressure-sensitive pad without any moving parts. This is likely a way for Apple to wean users off the home button, which is expected to go away altogether in next year's iPhone. There might be new colors. There are several unconfirmed reports floating around that Apple is considering a new dark blue and glossy black color options for the iPhone 7. Kuo of KGI Securities also backs up the new color reports. Some have even created mockups for what that'll look like. The iPhone 7 might be waterproof. Kuo also writes that the iPhone 7 will be able to survive up to 30 minutes under a few meters of water. This has been a standout feature in Samsung's phones this year. Besides the new iPhone, we may also see a new version of the Apple Watch. It's been two years since Apple first unveiled the Apple Watch, and it's due for an update. However, early reports indicate that the new version of the Apple Watch, which could also be announced on September 7, won't be a major upgrade. Instead, it'll likely look nearly identical to the current Apple Watch, but include new sensors for tracking health, like a GPS and barometer, according to Kuo. There might be new headphones from Beats. Beats, which is owned by Apple, may announce new headphones on September 7, according to a press release that was mistakenly sent out early to some press in Europe. If we had to guess, Beats will likely have at least one model of headphones that works with the iPhone 7's lightning port. We'll get a final release date for iOS 10, macOS Sierra, tvOS, and watchOS 3. Apple's four new operating systems: iOS 10 (iPhone/iPad), macOS Sierra (Mac), tvOS (Apple TV), and watchOS 3 (Apple Watch) have been in beta since the company first unveiled them at WWDC in June. The final versions are supposed to launch this fall, and Apple will likely give us the official launch date during the iPhone 7 event.